Country kitchens in the classic style feature a comfortably large space that provides a warm welcome for guests, as well as a place for the family to gather and for children to do homework or play games. The traditional country kitchen evokes a feeling of nostalgia. Nostalgia for a simple life that begins in the kitchen but can influence the character and the atmosphere of the entire house. 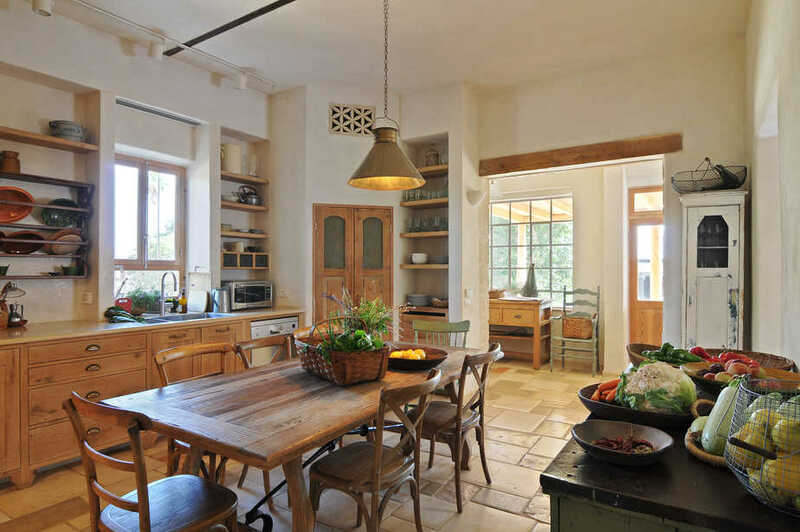 The trend of country kitchens also revives the use of natural materials such as wood, stone, lime plaster and so on. 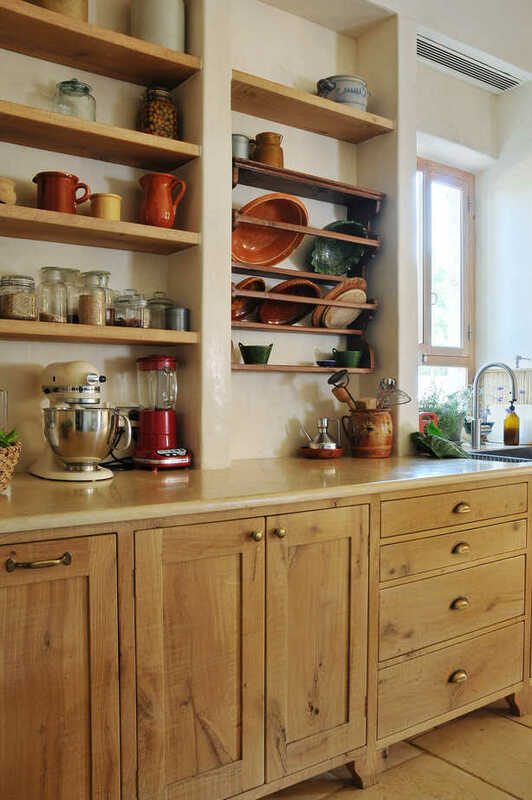 The use of recycled materials or new materials that have been antiqued contributes to the appearance of a classic country kitchen as does the crafting of the material using manual tools. he true country kitchen combines many traditional elements which have seen a revival in recent years. Country kitchens have always been built of solid wood. It can be said that the design was born largely out of consideration for the specific properties of solid wood and the use of methods proper to solid wood construction. This influences for example, the cross-section of cabinet legs and ties, or the structure of cabinet doors in the form of frame and panel to allow further expansion and contraction of the panel without any impact on the cabinet door. Another characteristic of a classic country kitchen is the design of separate units which lends a sense of heritage – pieces of furniture that have been handed down from generation to generation and collected over the years. Other common elements in the rustic kitchen are a free-standing stove, a sink with an open front and open shelves that may be used for both storage and display. Each of these elements emphasizes the textured look of the classic country kitchen. The cheerful atmosphere prevailing in these kitchens is also enhanced by colors which create a sense of warmth. In addition to natural wood tones, there is extensive use of painted cabinets. In addition, we often use hand-crafted hardware and handles made of antiqued brass, wrought iron and other metals, porcelain, glass or wood. Touchwood believes in tradition and continues to be loyal to its principles. We design and build kitchens with special regard for the qualities of the natural material with which we work, in order to provide the perfect kitchen for the people who will use it and enjoy its benefits.